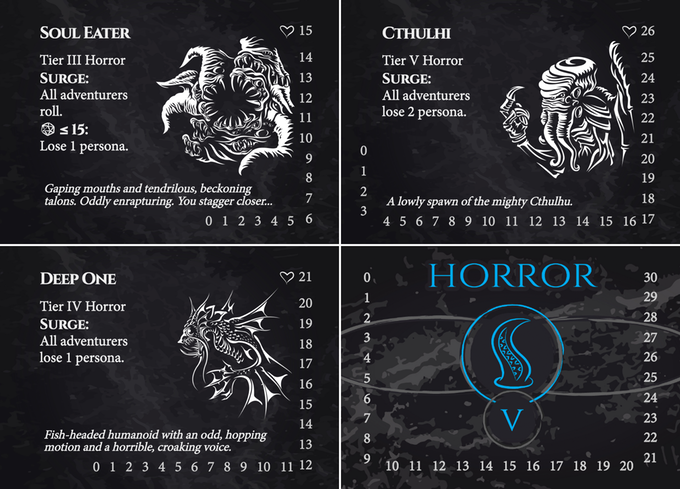 Expedition: The Horror is a new and versatile RPG (role-playing game) that merges tabletop gaming and technology. Specifically a role playing card game. Expedition uses both cards, and a mobile application to go on quests. This open source game offers an endless array of quests to go on, with new ones published every week, and with the free companion app ready to use and the first expansion on the horizon, you have plenty of options to keep the fun going. The Expedition is suitable for ages 8 and over and you have the option of playing solo or with others, up to 6 players total. The base game (not including the new expansion pack, which is being funded and may become available soon) features 166 cards, a twenty-sided die, and 15 tracking clips. How Has Expedition: The Horror Been Received by Players? Having the ability to merge technology and mobile video gameplay with tabletop card RPGs is something that is incredibly popular with gamers of all age ranges. The idea of a hybrid card/video RPS an incredibly popular one. Not only did they reach their goal on Kickstarter the first time around (to the tune of $21, 010 raised out of a $10,000 goal), but in only a few weeks, the expansion pack raised over double the amount of money they needed to fund the expansion pack campaign – with new quests being unlocked the more players fund the game, they appear to be doing quite well. Not only were players and backers excited about this new RPG game, but it also received great written and video reviews by a number of well-known and respected gaming sources. Among the most popular are Geek and Sundry, Flaming Dice, Undead Viking, and GeekDad, who offered positive reviews of Expedition. Questions We still have while we know that this is a more lightweight RPG that nixes the hundred-page rule book and makes learning the game easier via the companion app, we would be interested in knowing more about how long the game can last. Since it is still new and players are still on the base kit (with the possibility of receiving an expansion pack soon), we still don’t have a good idea of whether Expedition: The Horror has the ability to become more in-depth the more you play it. Ultimately, it does not simply depend on expansion packs but also on the companion mobile application. There are many advantages to this new card/video RPG hybrid. 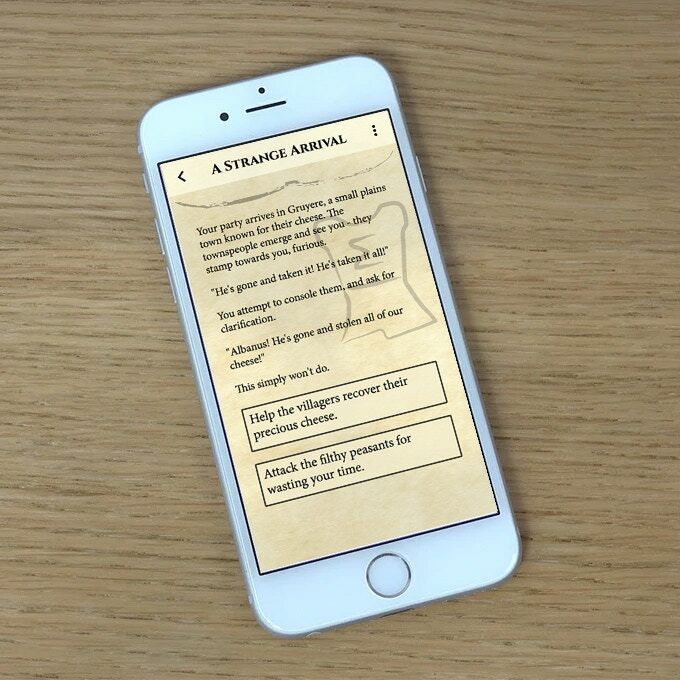 For one, the companion app for the game is free and is available for Android smartphones, iOS, and the web. The application is open source and is being worked on to improve constantly, which is very promising. It works on all smartphones, iPhones, and tablets. While not incredibly long, this card/video RPG lasts more than 20 minutes each game and is a great choice for those who are first getting into role playing games. You can figure out how to play the game, how to incorporate the companion app and have fun to figure out your new quest every time you play. The Expedition Adventurer’s Kit (the base kit) includes 10 adventurers, 30 look, 6 helpers, and 40 encounters, one 20-sided die, 12 plastic health tracker clips, a quick start rules sheet, and a companion Expedition application (which is available for iOS, Android, and web browser). There are also endless game possibilities, as the quests are community-written and new quests are free and published every week. In addition to the promising reviews by gaming enthusiasts and websites, the arrival of an expansion pack shows consistency in delivering a good product to players and shows that players are playing this RPG card/video hybrid game long enough to want more without becoming bored. If you are seeking out a heavy RPG, Expedition would not be the perfect choice for you. This card RPG has actually been called “lightweight” by the creators: It is not intended to be an incredibly long or in-depth RPG, but a unique hybrid RPG that utilizes adventure, combat quests, and mobile video applications to create a fun and interesting game. Also, you cannot play the game without the companion app – it is required for in-app quests and real-time combat in-game. Unfortunately, while the campaign for the expansion pack has indeed been funded, the additional cards promised will not be added until that campaign reaches higher goal levels – so don’t count your expansion cards just yet. The first expansion pack features a variety of cards on top of the base game. 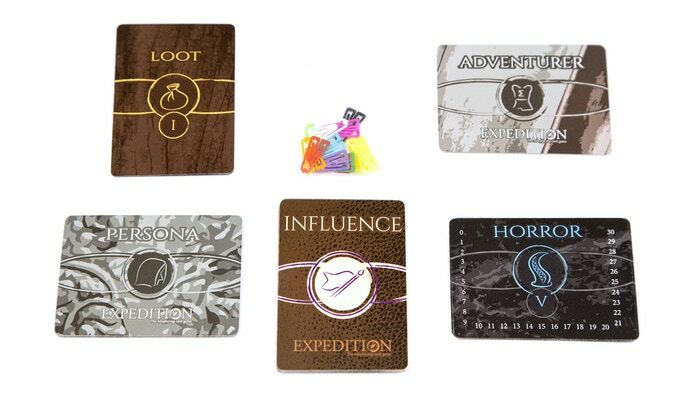 The expansion will offer five new card types, including 20 Abilities, 12 Personas, 4 Loot, 5 Adventures, 10 Encounters, as well as an additional 10 tracking clips. To get all of these, $24,000 must be raised. Overall, Expedition: The Horror has come onto the gaming scene and proven itself as a very fun RPG and has changed the tabletop gaming world with its card/app RPG hybrid format. At a price that is on par with other role playing card games, it is affordable and is able to entertain over the long-term. 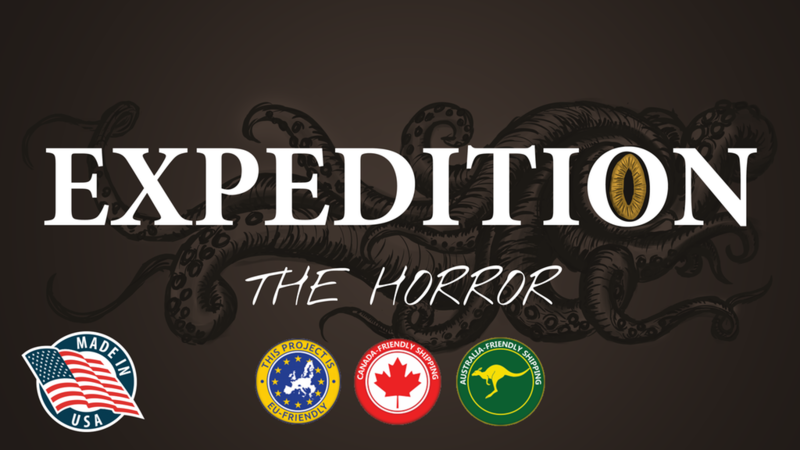 Expedition: The Horror is now available for just $30, check the link below for early bird pricing and availability.